I’m not really sure what the draw is, to getting down and dirty, but there are certainly a lot of people who like to take part in the muddy things of life…like mud trucks, mud wrestling, and muddy 4-wheeling. Maybe it is just the uninhibited, totally down and dirty experience they like, and maybe once you try it, it becomes easy to get hooked on, but I simply can’t imagine it. There are, however, several people in my family, and possibly lots more that I don’t know about, who really love to get in the mud and get dirty. 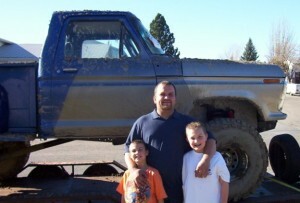 My son-in-law, Kevin Petersen and my grandsons, Chris and Josh Petersen, loved it when he had a mud truck. They would enter it in the local and even some in other areas of the state, mud truck competitions. The idea here, as you probably know, is to try to drive your truck as far through a mucky mud hole as you can. Obviously, the truck that goes the furthest is deemed the winner. Kevin loved doing that. Winning the competition here isn’t the whole idea, although it is a big part. 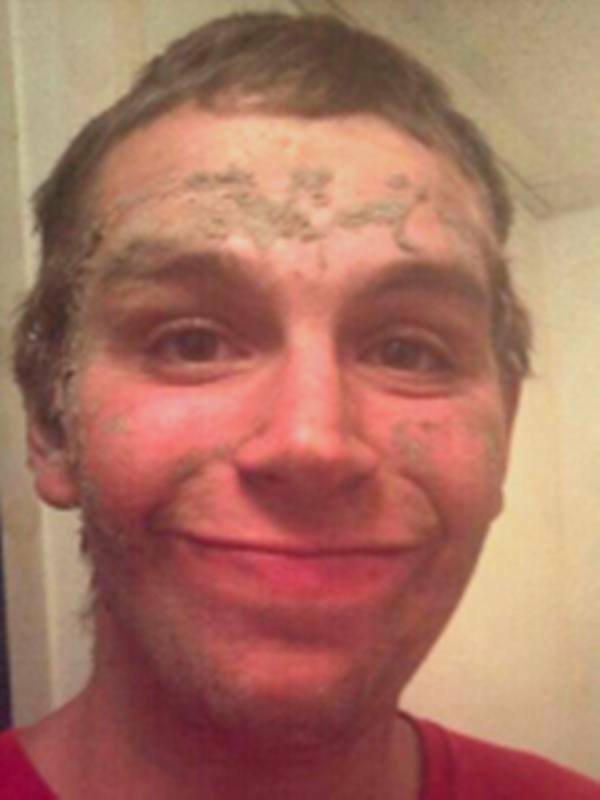 Nevertheless, even if he didn’t win, he had a great muddy time trying. You see…to me that simply meant having to bring your truck home and wash all that mud off again, but that didn’t matter to Kevin. It was all about the mud and getting down and dirty. If your truck wasn’t covered in mud when you were done, you didn’t try hard enough. For some like my grand nephew, Brian Kountz, it was all about 4-wheeling. If there was a mud puddle in his way, he didn’t go around it, although when 4-wheeling, he could have. No, he had to go through it, and if he got stuck, then it was time to get out and dig through the mud in an effort the free the very stuck truck. Brian never backed down from that battle. It was man against mud, and while the mud often won, it was not for a lack of fighting it on Brian’s part. That is probably why his Bronco didn’t really stand a chance in life. Broncos were made for 4-wheeling and mudding, as far as Brian was concerned, and that was how he intended to use his. My husband, Bob used to say, “That kid is gonna kill that Bronco someday.” And Brian did, in the end, but he had an awesome time doing so. As for my Uncle Bill Spencer…well, who needed a car or truck to get down and dirty? 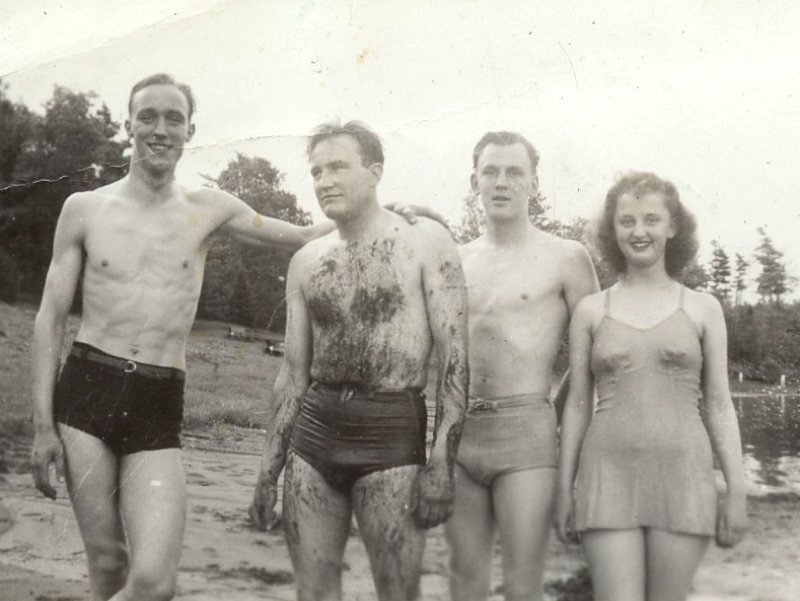 One time during World War II, he and some friends were taking a break from the shipyard war work they did, to go on a picnic and do a little swimming. Needless to say, that picnic turned into a mud fight…boys and girls too. No one was safe in that battle either. If the girls thought they weren’t going to be pulled into the mud, they were real wrong. Uncle Bill says that by the time they were done, they were covered in black, slimy mud from head to toe. He wanted to get a picture of everyone, but most of them decided that they didn’t really want to save that moment, only to be haunted by their childishness every time those pictures were brought out. Uncle Bill didn’t care. The rest washed off, and got in the picture with a muddy Uncle Bill, so he could at least document the players. I guess getting down and dirty isn’t such an odd thing to do. In reality, everyone needs a good way to de-stress sometimes, and something as unconventional as a mud fight or even a food fight might just do the trick…provided I don’t have to clean it up. For many people, it is a way of letting off steam, and doing something that is totally hilarious and even a little crazy. To those people, I say “more power to ya.” I’m not sure I would ever like dong that, but then I haven’t done everything in life yet, so…who knows, maybe I’d like it too. Time will tell, I guess.